The intramedullary percutaneous pinning in fractures of the lateral malleolus is a technique of osteosynthesis that can reduce complications of ORIF. Our study describes the morphology and the morphometry of the fibula, in particular intramedullary, so as to specify the best fibular nail features. We conducted a retrospective study on CT acquisitions of fibulae in vivo. We studied total length, and the distal malleolar angle. Regarding intramedullary morphology, six axial study levels were defined. Each level was assigned a morphometric classification (oval, triangular, quadrangular or irregular), and a measure of the diameter of the cavity. The distance between the smaller diameter and the malleolar tip was investigated. We included 50 patients for 97 fibulae. The average age was 66.5 years. The irregular morphology type was the most frequently found. The average length was 370.5 mm (SD = 18.1; CI 95% [366.9; 374.1]), the average distal malleolar angle was 163.5° (SD = 3.7; CI 95% [162.7; 164.2]). 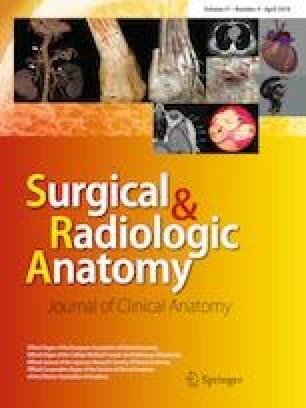 The average minimal intramedullary diameter at malleolus level was 3.2 mm (SD = 1.2; CI 95% [3.0; 3.5]), with a minimum size reaching 95.8 mm (SD = 13.8; CI 95% [93.0; 98.5]) of the malleolar tip. The analysis of morphological parameters of the fibula, in particular the lateral malleolus and intramedullary morphology is necessary for the design of a morpho-adapted nail. Interpersonal variability must be taken into account by the implant industry to offer nails of suited lengths and diameters. IB, manuscript writing/editing. MA, other rereading. PSM, other rereading. MP, data collection or management. FF, other rereading. CM, protocol/project development. PAM, protocol/project development. All procedures performed in studies involving human participants were in accordance with the ethical standards of the institutional and/or national research committee and with the 1964 Helsinki Declaration and its later amendments or comparable ethical standards. For this type of study formal consent is not required.